Here's your opportunity to live in HOT Cotswold! 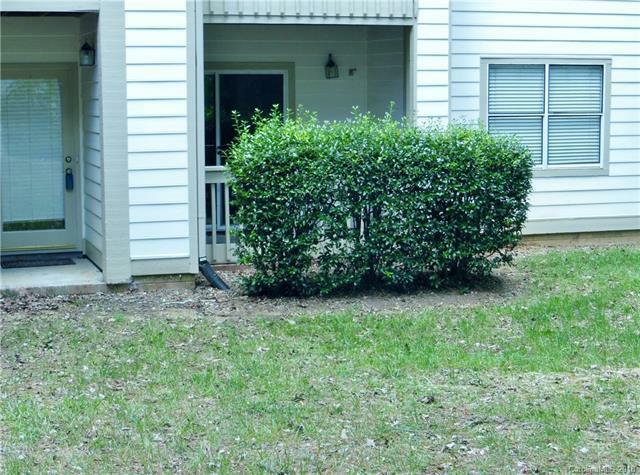 Privacy surrounds this move-in ready updated 2 BR, 2BA condo! New 'aged oak' wood laminate flooring thoughout plus ceramic tile in both baths. Smooth ceilings (NO 'popcorn'! ), full interior just repainted, new light fixtures, ceiling fans, bathroom mirrors & faucets! Granite countertops in kitchen and both baths. Cabinets painted a fresh white. Fridge, washer & dryer stay! This unit can be accessed by either the wooden walkway and down an easy 1 flight of stairs OR just walk down the grassy area to the front door. Unit is on ground level with a private covered patio and lots of greenspace! Community has pool, clubhouse, tennis and basketball. HOA dues also covers water & sewer. Amazing growth in this hot area with lots of new high-end homes. Very close to Shops at Cotswold with Harris Teeter, brand new Publix, restaurants & retail. Between uptown and South Park! Home Warranty paid by Seller.